To Drone or Not to Drone? This post is partly speculative in nature, since unmanned aerial vehicles (UAVs, colloquially known as “drones”) have yet to really proliferate in the business world. But at the very least, the evident trend toward employing drones for commercial purposes is one we all should keep an eye on. Amazon CEO Jeff Bezos even announced in 2013 that his company would contemplate using drones for deliveries. Given the relative novelty of the technology from a commercial standpoint, entrepreneurs and managers have a great opportunity right now to position themselves ahead of the curve. Commercial drones probably won’t fill the sky tomorrow. Rules around drone use are evolving, and have yet to catch up to the real potential of drones to become ubiquitous denizens of our airspace. 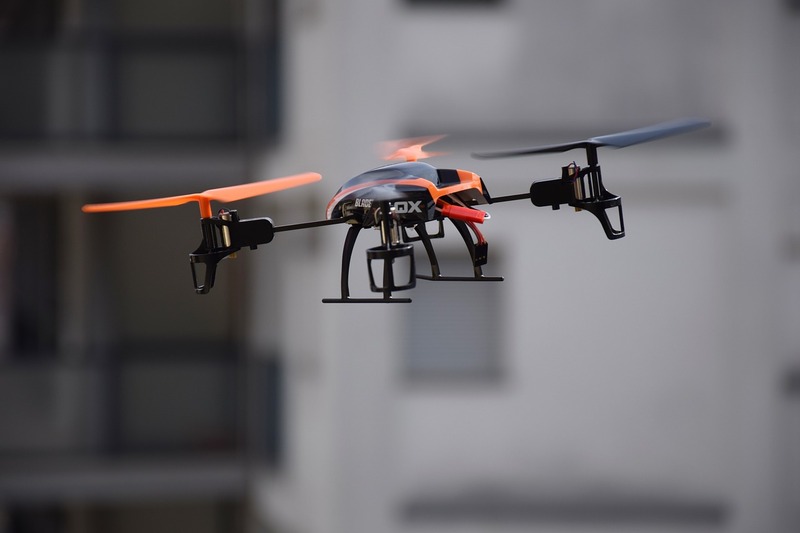 Regulators must strike a reasonable balance between legitimate concerns over privacy and public safety, and the obvious advantages of UAVs for undertakings like police investigations, search and rescue, and various business activities. Consider the following issues as you mull the drone question. What use might you have for a drone right now? Amazon’s vision of drone deliveries is still in its embryonic phase, but many commercial enterprises in North America are making use of drones already. Camera-mounted UAVs have proven useful for land surveying, recording flyovers of golf courses, taking photos from perspectives that might otherwise be inaccessible, and filming short snippets for television advertisements. Cable news outlets have assigned drones to cover perilous or hard-to-reach locations at a comparatively low cost, and without endangering camera crews. UAV technology is rapidly improving, with features like extended battery life, greater cargo capacity, and solar panels. We can expect further technological change to enhance the versatility of drones in the years to come. There are several conditions you must meet in order to fly a drone in Canada. As in many other countries, recreational drone users are generally entitled to fly light UAVs (2 kilograms or less) in Canada without seeking certification from government regulators, provided they fulfill certain safety obligations—like yielding the right of way to manned aircraft, and keeping their distance from airports and restricted airspace. However, a more stringent set of rules applies to drone operators who intend to use mid-size UAVs for work or research purposes, and for users of drones heavier than 25 kilograms. The key take-away here is, do your research before acquiring a UAV, let alone launching it. Make sure you have fulfilled all the conditions required for an exemption from Transport Canada’s certification process. Otherwise, you’ll need to apply for a Special Flight Operations Certificate (SFOC). When human beings introduce new, synthetic elements into the natural environment, animals often react by associating the novel entity with a concept they already know and understand—sometimes with decidedly negative results. One reason why sharks occasionally attack surfers, is because the shape of a surfboard resembles the familiar, corpulent physique of a seal. An owl in Oregon achieved notoriety recently for swooping out of trees to steal joggers' hats. Other creatures—including alligators, primates, bees, and dogs—have also reacted adversely to drones and attempted to bring them down. Thus, it’s probably wise to give animals a wide berth whenever possible.